Found 3 file extension associations related to Ability Database and 1 file format developed specifically for use with Ability Database. Ability Database is a Microsoft Access compatible powerful data management system that is perfect for storing and analysing structured data or information, including address books, inventories, customer and product lists, medical records, and any other data that can be usefully tabulated. Create and maintain detailed reports that display information filtered, sorted and grouped according to your precise needs and so make your analysis and decision-making easy. It is Compatible with *.mdb file formats (Microsoft Office 2003 and earlier). 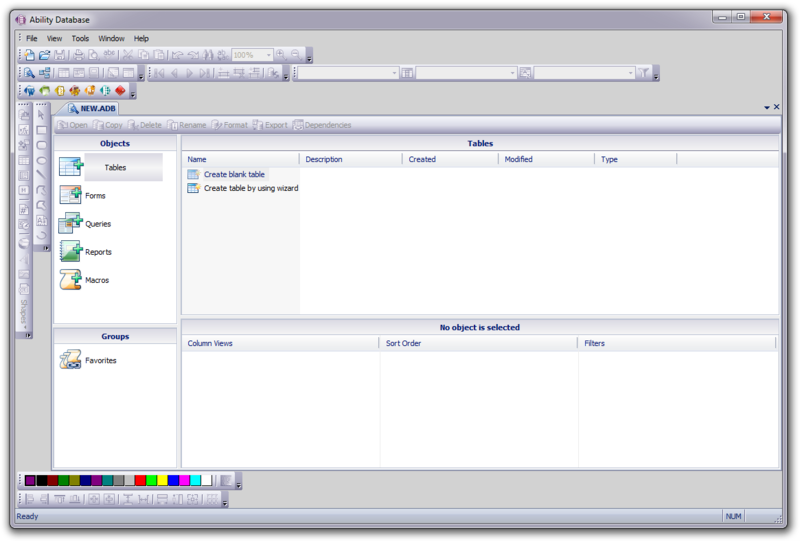 Ability Database is included in Ability Office Bussines office suite. If you need more information please contact the developers of Ability Database (Ability Plus Software), or check out their product website.